Installing CCTV cameras on your outside walls will help you monitor your property and prevent unauthorized entries. Closed Circuit Television systems, better known as CCTV systems, can help protect your property by providing an effective deterrent against criminal activity while enhancing the personal security of your staff and customers. Here at Lightning Locksmith, we offer complete CCTV design, installation, and maintenance services throughout Newtown Square, PA.
As a fully registered, licensed, and insured locksmith company, we are the area experts when it comes to CCTV systems, IP cameras, and DRV/NVR recording devices. We have the skills and expertise it takes to design an effective CCTV system for any application, including for professional offices, retail outlets, warehouse facilities, and even private residences. And because we are a licensed locksmith, you can enjoy the peace-of-mind that comes with knowing you are dealing with a trained, bonded security professional. CCTV cameras are commonly found at gas stations, airports, college campuses, malls, and hospitals, and in most cases, these indoor and outdoor cameras are installed in locations that make them easy to spot – that’s one of the reasons why CCTV is an effective crime deterrent. With a CCTV system, each camera is connected to one or more monitors that display the images in real time. The images are also saved onto a digital DVR/NVR recording device for a specific period of time that can vary from 24 hours up to 14 days, making it possible to view video footage of an event that was captured by one of the cameras days, or even weeks, later. There are two types of CCTV cameras available – wired and wireless cameras, also known as IP cameras. Traditional wired CCTV cameras are connected directly to the video monitor and recording device via wires that are usually run inside the walls alongside the existing electrical wiring, while IP cameras link to the CCTV monitor and DVR/NVR recording unit via an internet-enabled wireless connection. Here at Lightning Locksmith, our licensed locksmith has extensive experience in installing and maintaining CCTV cameras, including both wired and wireless cameras. 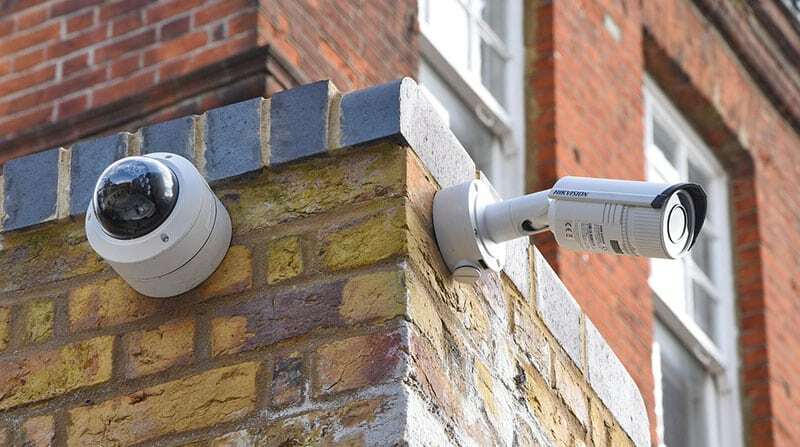 Our installation service includes analyzing your property to identify the best location for your CCTV cameras so that the cameras will act as both an effective visual deterrent and capture high-quality images. We use safe, efficient installation methods to ensure your cameras are installed in a way that minimizes any damage to your building while making sure all of the electrical connections meet or exceed local, state, and federal safety codes. We also offer complete diagnostic and repair service for existing CCTV cameras. For all of your CCTV security system needs, call us here at Lightning Locksmith. Remember, when it comes to securing your property, IP cameras provide unbeatable protection and exceptional peace-of-mind.